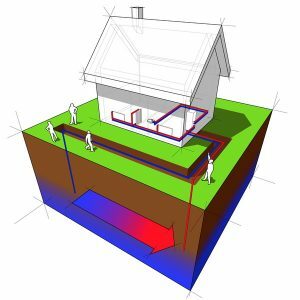 Should You Consider a Geothermal Heating and Cooling System? | Sound Heating & Air Conditioning Inc.
Should You Consider a Geothermal Heating and Cooling System? When deciding on a new air conditioner for your home, there are many factors to consider. After all, we don’t get too much hot weather in our parts—at least, not in comparison to other parts of the country. Therefore, it makes sense that you’d like to spend as little money as possible on residential air conditioning services in Tacoma, whether we’re talking about installation or your month to month utility bills. You’ve likely heard of a heat pump system before. This system is set up much like a conventional central air conditioner with one important difference—it’s refrigerant process can be reversed so that it provides effective cooling and heating. But for even better efficiency, and to help the environment out a bit, you may want to consider the installation of a geothermal heat pump, which instead of utilizing the air to move heat, it is installed underground and uses the consistent temperature of the earth. Geothermal systems are very effective and efficient, and require far less maintenance than more conventional, traditional heating and cooling systems. We will say that it’s typically best to have this kind of system installed during the construction of a new home, as it does involve some excavating to put the tubes underground. However, if your property is able to handle it, we’re happy to talk to you about retrofitting a system. What makes a geothermal system so efficient and so environmentally friendly is the fact that it doesn’t have to burn fuel to create warmth. It simply moves existing heat from one place to another. And since, as we alluded to above, the temperature underground stays at a relatively consistent 50°F all year long, a geothermal system requires a lot less energy to cool your home than a conventional system or an air-source heat pump. You’ll Have Lower Operating Costs: A geothermal heating and cooling system will save you about 30-60% on your heating and around 20-50% on your cooling costs each month, over the more traditional central furnace or air conditioner. It Uses Clean, Renewable Energy: We mentioned how geothermal systems are environmentally friendly—this is because there is no onsite combustion and therefore no emissions of carbon monoxide or other harmful greenhouse gases. Additionally, there aren’t any combustion-related safety or indoor air quality issues to be concerned with indoors. It Operates Very Quietly: Unlike an air source heat pump or pretty much any other type of HVAC system, the geothermal heating and cooling system operates significantly quieter than other cooling system. You don’t have to worry about a noisy outdoor compressor or fan, and the indoor unit will likely not be any noisier than your refrigerator. Sound Heating and Air Conditioning Inc. is your trusted resource for residential air conditioning services. Contact us today!